Becky and Ben’s June Great Fosters wedding was really lovely from start to finish – lovely couple, lovely colours, lovely little touches everywhere… It all fitted together so nicely, it was a real pleasure to be part of their big day! I loved the pretty summery mix of soft pastel shades but was even more in love with the beautiful scent at this wedding. I discovered a new rose variety called O’Hara with a scent which took me right back to my childhood days in my gran’s garden with rows of beautifully scented garden tea roses. The colour scheme for the flowers stemmed from Becky wanting a happy and summery wedding flowers theme to accent the very pretty Tiffany blue bridesmaids dresses. Becky held a beautiful tear drop bouquet of ivory and pink Sarah Bernhardt paeonies and scented freesias, while her bridesmaids carried lush bouquets of ivory, pale pink, cream and peach roses, paeonies, scented freesias and lisianthus, later on swapping their bouquets for wrist corsages. The men wore buttonholes of pale pink Sweet Avalanche roses and freesia, and the pretty flower girl held a dainty posy with a cute star wand. We decorated the Orangery with 2 amazing grand flower urns and petal scatter down the aisle, and with single roses placed in the chair end bows, and on the ceremony table we used the top table display. 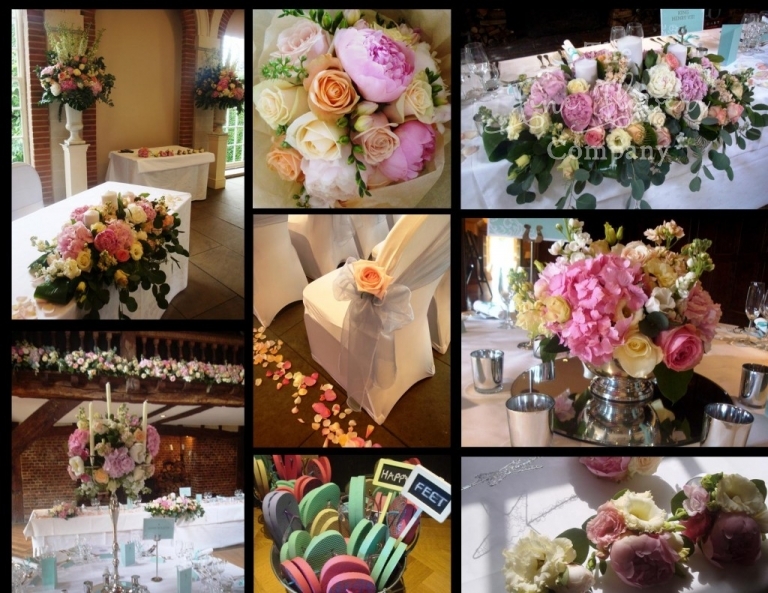 In the Tithe barn, we used French silver candelabras in the tall central part of the barn, overflowing with opulent flower displays. On the side of the room, where the ceiling is a lot lower, we dressed the tables with pretty silver Revere bowls with overflowing domes of flowers. Silver votive holders on mirror bases were used on all the tables, to reflect as much of the romantic candlelight as possible in the evening. And finally, the pièce de résistance: the whole length of the minstrel gallery was decorated with a dense flower garland running all the way across, which looked absolutely stunning! 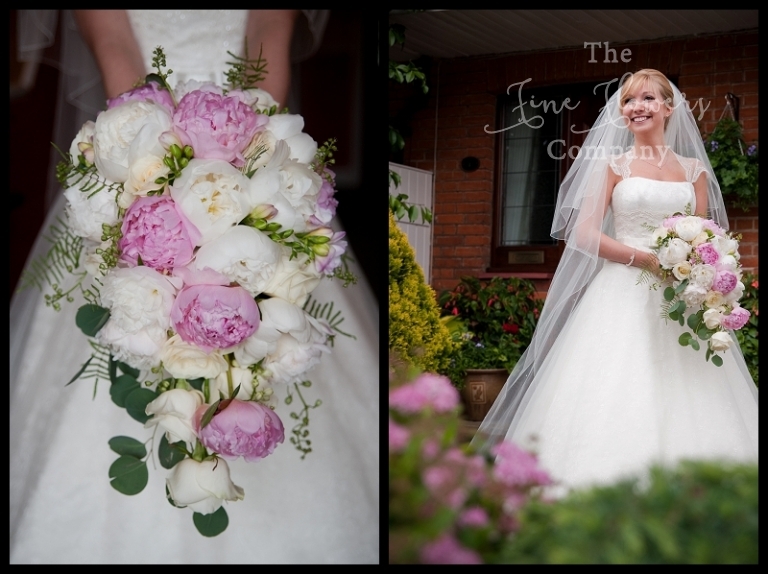 A million thanks go to Hayley Bray Photography for their gorgeous wedding shots. I am a great fan of their work and this wedding shows perfectly why…!